Our vision at Eloflex is to improve people’s lives by giving them a greater sense of freedom, independence and mobility. We are driven by a deep desire and passion to not only create high-quality products, but open up new possibilities for an active and joyful – on the user’s terms. 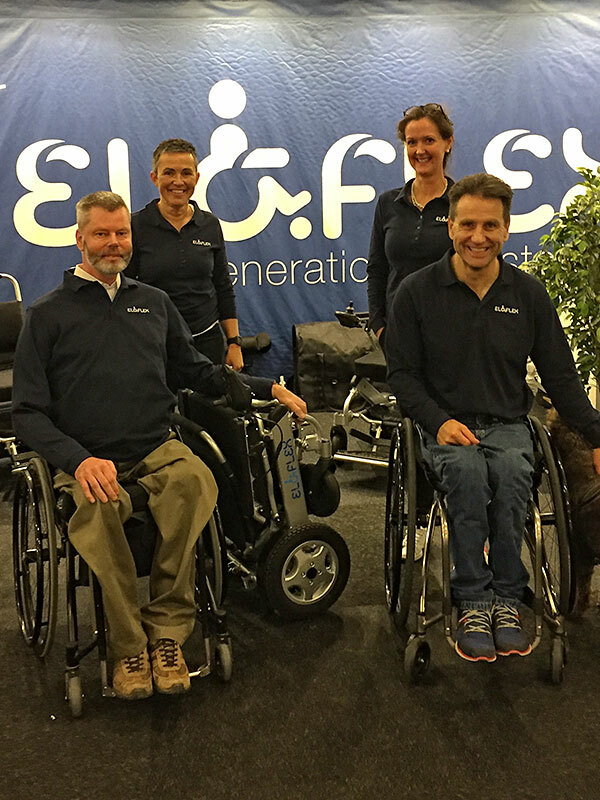 The company behind Eloflex is TiArrow, a Swedish-based firm with a global reputation for developing the world’s lightest manual wheelchairs since 2002. The 15-years’ experience of wheelchair production gives us unique advantages when it comes to developing our powered wheelchair range. 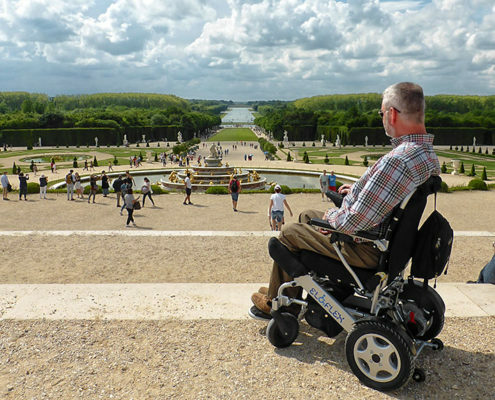 We have extensive knowledge and experience in the handling, seat ergonomics, choice of materials and manufacturing methods of advanced, top-end wheelchairs. All of this knowledge is now transferred into our Eloflex models. 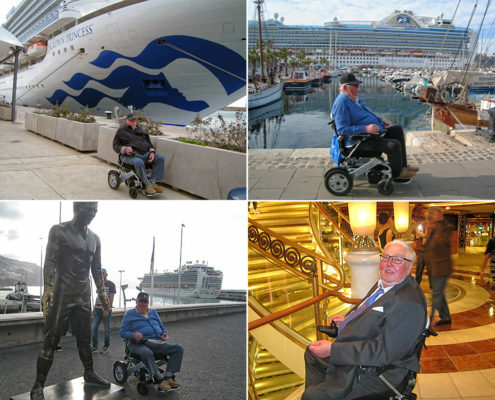 From the start, our goal has been to make wheelchairs that are exceptionally light, combined with good seating ergonomics, high quality and good handling. We have many years of manufacturing experience with materials such as titanium, magnesium and aluminum. So it was quite natural to apply the same exacting standards to our electric wheelchairs. Clearly, smart lightweight materials, compact design, good seat ergonomics and handling are just as vital here. Notably, a smart design gives us folding chairs, one of the many unique benefits with Eloflex. Eloflex is a young company, operated and developed by a number of dedicated and driven employees who are passionate about what they do. Our guiding principle is “freedom for all” and our vision is for more people to have independent and autonomous lives thanks to Eloflex. Would you like to know more about our company and our products? Click here to contact us to find out more or to book an appointment. 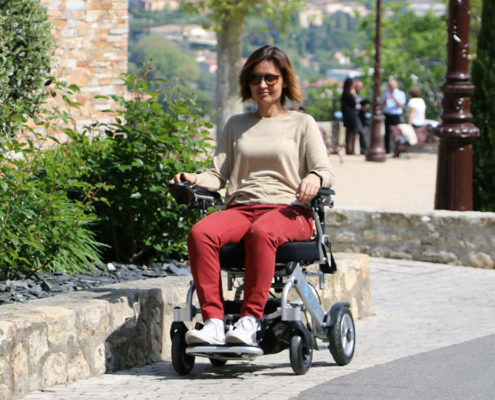 Eloflex is an electric-powered wheelchair with unique features that make it easier to use, smart, compact and foldable. 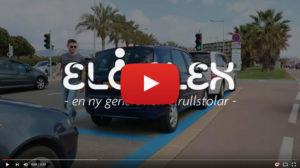 Watch our films so you can understand what differentiates Eloflex from traditional wheelchairs. 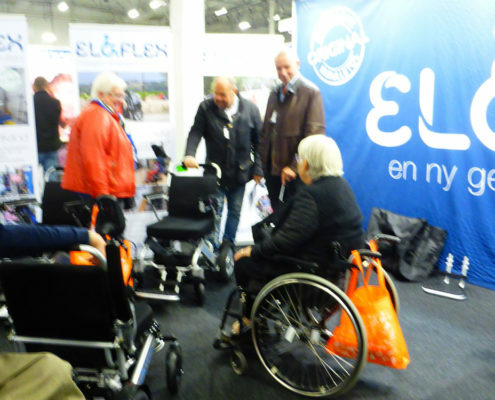 Eloflex folding wheelchairs are very popular and the demand is high all over Europe. 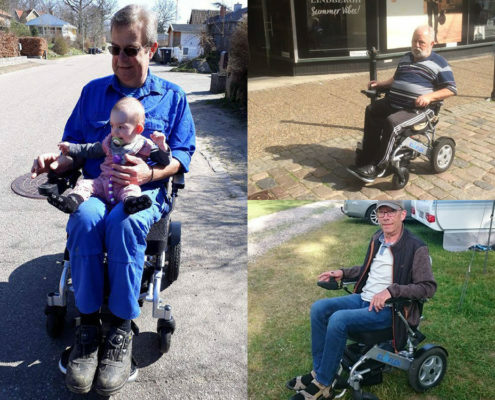 We are the general agent for the brand Eloflex and we already supply our power wheelchairs to several countries in Europe, such as Sweden, Norway, Denmark, Finland, France, Switzerland, Latvia and Estonia. We are now looking for distributors in more countries and invite those interested to contact us. 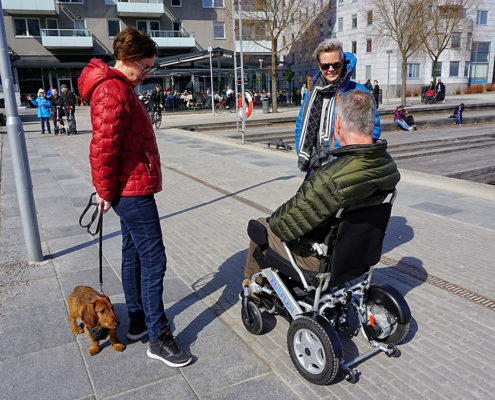 It does not matter if you are a distributor of other products, if you’re running a store, or if you simply just see the great potential of Eloflex wheelchairs. Everyone is welcome to get in touch. We value your interest and consider every request and opportunity. Click here to get in touch. 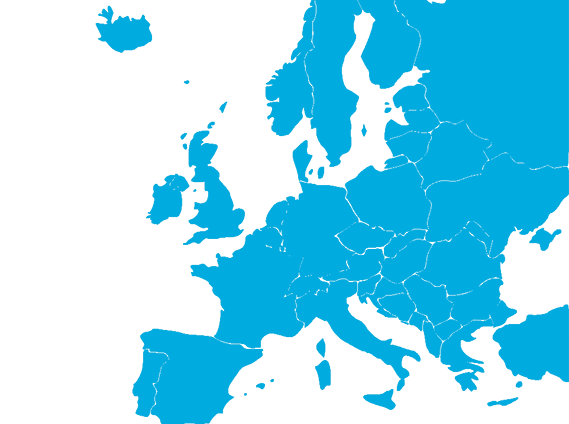 You can find Eloflex folding electric wheelchairs in several European countries. There is a lot about and around the company Eloflex. Below you can find out about our latest news. Feel free to subscribe to our newsletter below, avoiding the risk of missing any news in the future.